Posted November 23rd, 2018 by basementmovies & filed under Watch. 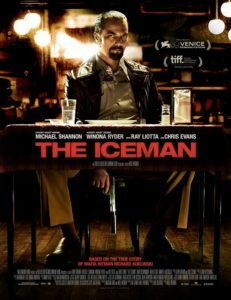 The basement is long overdue for a Shandango, and so we give you the Mafia crime drama The Iceman, starring basement Hall-of-famer Michael Shannon. Fear his scowl! In Seen It, we talk about a town called Belleville, a town called Dogville and a little girl called Miss Sunshine.